To be honest, I have mixed feelings about this. On one hand, yay, fantasy. On the other, this looks like Peter Jackson’s Hobbit movies had a baby with the new Clash of the Titans movies, and threw the dude from that Vikings show into the mix. There is promise, however, in the batshit craziness of the whole thing—I hope they just go totally nuts with this—but for now I can’t tell if this is going to be a stale rehash or something unique and interesting. There’s just very little that makes this stand out. 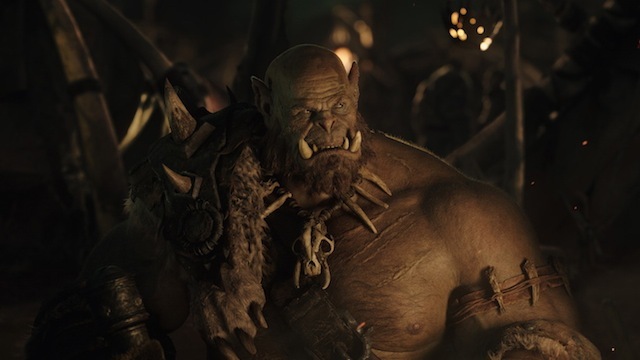 Granted, it’s just a trailer, but you’ve got all the tropes from riding on the backs of eagles to the monsters being more human than the humans—that big ugly guy just wants to live in peace and a good family Orc, or whatever. There are also enemies coming together to fight a greater evil and realizing that they’re more similar than they thought. You can certainly make a good movie out of those elements, but they’ve been done so much let’s hope they change things up along the way. Warcraft opens everywhere June 10.